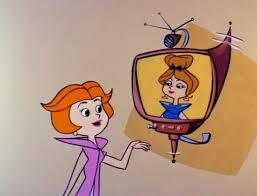 Video calls were predicted 45 years ago! Telehealth services are provided by video conferencing, with the clinician and patient being located in separate locations. For mental health services, this service is also referred to as TelePsychiatry, TeleBehavioral Health, TelePsychology and TeleMental Health. MHConcierge prefers TeleMental Health. More flexibility for scheduling appointments. Improved access for people with mobility problems. Reduced travel time and expenses, and reduced loss of work time and income. May be done using a desktop, laptop, tablet or smartphone (as long as they are relatively current devices). Research studies indicate that TeleMental Health is equivalent to face to face care in various settings and a useful alternative. Most patients find TeleMental Health services to be as effective as in-person services; some even prefer TeleMental Realth to in-person appointments. When the patient, or therapist, is ill, the weather is bad, or the patient or therapist has car trouble, the appointment can still occur. For people who are concerned about the possible stigma of being seen in a mental health office, they can have their appointments in the privacy of their own home. Minnesota law (The Minnesota Telemedicine Act) requires that Minnesota Medicaid (MA) cover telemedicine as of 1-1-16, and that private insurance companies provide the same coverage for all telehealth services, including TeleMental Health, as they do for regular in-person services, as of 1-1-17. The TeleHealth service must be reliable and easy to use. the TeleHealth service must comply with very strict guidelines about confidentiality and security; it must be clear that the appointment is not recorded by the company, no one at the company can view it while it is in progress, and the video stream is safe from hacking (as much as is possible these days). The patient’s computer, tablet or smartphone must be “not too old” – does not need to be a state-of-the-art, screaming-fast machine, but does need to be relatively current. The patient must have a stable wi-fi connection with adequate bandwith (if you can stream videos, such as YouTube, you are probably OK). The patient must have a secure and confidential space to talk in, without interruptions (pets, kids). Richard Sethre, PsyD, LP provides TeleMental Health services using the OnCall Health video service, which is secure and in compliance with very strict privacy and security requirements. He would be glad to discuss possible use of TeleMental Health for your needs, and any concerns you have about the technology and confidentiality issues.